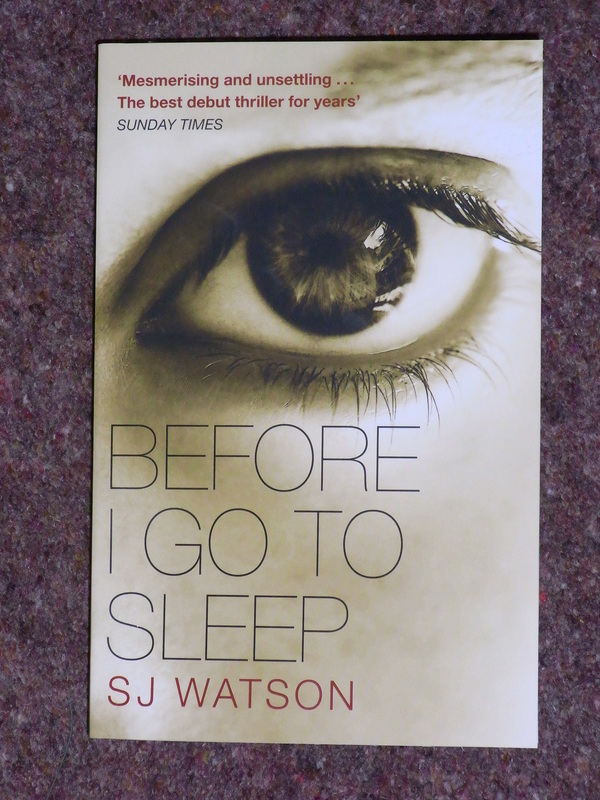 I’ve just read a terrific book – Before I Go To Sleep by SJ Watson. It’s about a lady called Christine who suffers from memory loss. Each morning she wakes up next to a strange man, not knowing who he is, how she got there or if anything happened between them. This man is her husband, Ben, and every day he has to explain their relationship to her and the facts about her past life. This happens day after day after day. Then a doctor takes an interest in her case and begins to see Christine without Ben’s knowledge. He encourages Christine to start keeping a journal and it appears that Ben may not be telling the full story about Christine’s past. In 2009 Watson took part in the first Faber Academy ‘Writing a Novel’ course and this book is the result. Ever hopeful, I’ve just had a quick look at this course and it’s £3,500 for 6 months – a bit out of my league but it was obviously a good investment for Watson because the book has been translated into 30 languages and the film rights have been acquired. Before I Go To Sleep is Birmingham’s Big City Read and 1,000 free copies (999 now because I’ve had one of them) are available from the city’s libraries. More details are here. This entry was posted on December 23, 2011, 2:10 pm and is filed under Authors, Books. You can follow any responses to this entry through RSS 2.0. You can leave a response, or trackback from your own site. What a great review – you should be on commission!! Thanks for the recommendation, Sally, I will look out for it. I watched a rom com once called 50 First Dates which had quite a similar (though probably gentler) storyline! I’d love to go on that course-maybe one day!! That sounds good, Sally! I’ll add it to my ‘books to read in 2012’ list!! Bev – it would be lovely to be on commission!